NEWINGTON - On any given day, Renee DiNino is on the radio talking about pets, finding help for a homeless animal, or broadcasting with her dog by her side. Now, in recognition of her support for animals in Connecticut and beyond, the Connecticut Humane Society is inducting DiNino into the Gertrude O. Lewis Humanitarian Society. She will be honored at CHS’ Diamonds in the Ruff gala on Saturday, Oct. 27, at The North House, 1 Nod Road, Avon. “I’m truly humbled by this honor. 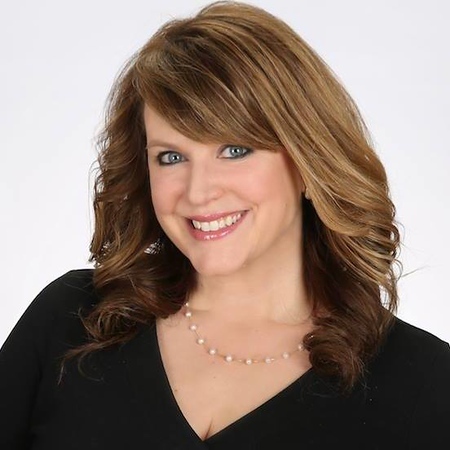 The people of the Connecticut Humane Society and all organizations who dedicate their time, both professionally and personally to the voiceless, are my heroes,” said DiNino, who is a River 105.9 radio personality, syndicated radio host for 9 iHeartRadio Connecticut stations, WFSB TV traffic reporter fill-in and Better Connecticut show correspondent. DiNino is the fourth person to receive the prestigious award. The exclusive group includes Jill Rappaport, an American journalist best known for her correspondent work for NBC’s TODAY show and NBC’s Nightly News; William Berloni, the recipient of a Tony Award and famed theatrical animal trainer; and Heidi Voight, NBC Connecticut anchor and journalist. DiNino has long used her public platform on TV and radio to advocate for pets. She’s a go-to among the animal community for everything from promoting fund-raisers, to finding a new home for a pet in need, or lending her voice (and her tunes) at a special event. Her “Pets and People” radio segment on iHeartRadio stations raises awareness of animal welfare in Connecticut, and her past rescue dog, Daisy Mae, inspired a children’s book. Seats for the CHS Diamonds in the Ruff gala are on sale at cthumane.org. The event’s title sponsor is Hill’s Pet Nutrition. The evening includes visits with CHS foster puppies, a gourmet, multi-course plated dinner, drinks, a photo booth, animal-themed trivia, music and live and silent auctions. Tickets are $90 per person in advance through Oct. 24. For more information, contact: 860-594-4502, ext. 6307, or email pclark@cthumane.org. Posted in Newington Town Crier, Newington News on Wednesday, 17 October 2018 14:41. Updated: Wednesday, 17 October 2018 14:44.